[This is the second and final part of the official response issued by Dr. E. Thahir Sahib of the Jamaat Ul Sahih Al Islam, Kerala (India) in the aftermath of the Friday sermon of the present Ahmadiyya Khalifa Mirza Masroor Ahmad Sahib on the subject of Khilafat and Mujaddidiyat. The first part appeared on July 11, 2011 and can be accessed here]. After stating that “each Khalifa is a Mujaddid during his era”, Mirza Masroor Ahmad Sahib says: “If God so wills, He can give the status of Mujaddid to a Khalifa of the time at the turn of a century, and enable him to declare this”. So, now he says that at the turn of a century “If Allah so wills” a Mujaddid is raised. Even then, the assembly of the faithful will elect a Khalifa first and then, Allah will have no choice other than to ask the so-elected Khalifa to declare himself as Mujaddid! Why is it that there is no proclamation of Mujaddidiyat from Mirza Masroor Ahmad Sahib in spite of his being ‘qualified’ in terms of the time? He further states: “Being a Mujaddid does not alter the station of Khilafat; the status of Khilafat comes before that of a Mujaddid”. Hadhrat Ahmad (as) says in every century Mujaddidin will come to revive the faith. Now, Mirza Masroor Ahmad Sahib states that the assembly- elected Khulafa has more importance than the divinely sent Mujaddidin. He also stated that every Ahmadiyya Khalifa is also a Mujaddid only to clarify later that “if Allah so wills” at the turn of a century. In short, the divine office of Mujaddidiyat is exclusively reserved for Ahmadiyya Khulafa and nobody outside this circle including common Ahmadis can be Mujaddidin in future. Ahmadis usually employ two arguments to oppose the coming of Mujaddidin: Khilafat is on the precept of Nubuwwat and there is no need for “Tayammum” when water is at hand. But then, can the water be utilized even when it is muddy and impure? Has Mirza Masroor Ahmad Sahib any claim to Nubuwwat? Is he a recipient of divine revelations? If there is nothing, is the “water” pure or impure? The head of the Ahmadiyya Jamaat Mirza Masroor Ahmad Sahib on June 10, 2011 delivered a Friday sermon on the subject of Khilafat and Mujaddidiyat. This notice is in response to certain observations which form the core part of that address. The Khutba itself was occasioned by, and in response to, a question raised by a child in a study session: “Can a Mujaddid come now”? He describes:“this kind of question arises when it is discussed in families because a child could not come up with a question like this or some, who wish to create uneasiness among children and the youth pose such questions”. Whether asked by a child or the child was set up by elders to raise it, can the question of Mujaddid create uneasiness? Why the Ahmadiyya Khalifa is so anxious about a question based on the glad tiding of the coming of Mujaddidin in every century given by the Holy Prophet of Islam (sa) and is endorsed by the Promised Massih Hadhrat Ahmad (as)? The Khalifa characterizes everyone who asks about it as hypocrites. He states: “Questions relating to this have arisen in the Jama’at at different times, not by sincere members but by those who wish to create discord”. About 1400 years ago, a promise was given by the Holy Prophet of Islam (sa) to the Muslims of every age. When the issue is being raised, the Khalifa feels it creates discord in the Ahmadiyya Jamaat. Why is it so? Does it not indicate that inside the Ahmadiyya Khilafat elected by the assembly of the faithful, the prophecy touches a raw nerve? He states further: “In the era of Hadhrat Khalifatul Masih III (may Allah have mercy on him) this issue was raised quite forcefully.” If the issue is alive from the time of the Third Caliph, is it not natural to suspect that there is something rotten inside? If someone asks about the Mujaddidin who are divinely raised reformers, every attempt is made to keep their mouths shut and they are being condemned as hypocrites. Does it not indicate a tendency for despotic thought control and intolerance? In an Open Letter addressed to the current head of the Ahmadiyya Community Mirza Masroor Ahmad Sahib in February 2011, Hadhrat Khalifatullah Munir Ahmad Azim Sahib of Mauritius called the attention of the Khalifa and the Jamaat-e-Ahmadiyya to the recurring instances of injustice within and the deeper structural malice that underwrites and perpetuates it. 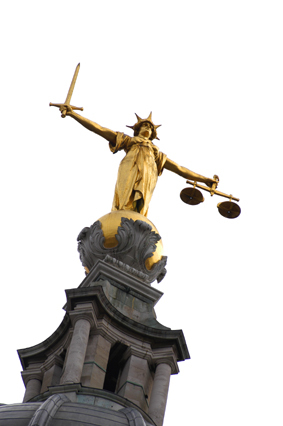 “Justice is from the “blood” of Allah. Allah detests unfairness. Therefore He likes that justice pervades His kingdom, be it in the Heavens and Earth, especially so on earth, for the earth is filled with satanic forces which attract men towards doom with their chaotic evil plans”, reminds the Khalifatullah. “For now more than ten years, the Jamaat Ahmadiyya has lost its credibility in the eyes of people, and I dare say in the eyes of the Ahmadi people themselves. The teachings preached by the Promised Messiah (as) were foremost to enable the Ahmadi Muslims to inculcate the richness of Islamic faith in themselves and to become role models for other people, be them the rest of the Muslim Ummah or humanity at large. Unfortunately all these teachings have been trampled under the feet of Ahmadi people, through the wrong decisions which their Khulafa-tul-Massih have taken. You have always based yourselves on the report of your Amirs, missionaries-in-charge and especially the Pakistani people working in close collaboration with you. You have always listened to only one side of matters of high importance and based yourselves on the so-called reports which your Amirs or missionaries-in-charge have sent you. I tried to analyse all these situations profoundly to understand the why of all your decisions as Khulafa-tul-Massih. Very often, you take such decisions which are aimed to humiliate people, send curse upon them, expel them from the Nizam-e-Jamaat Ahmadiyya or order that a social boycott be applied upon them, without realising that the sanction and judgement you took were never based on Taqwa (and I am saying this as from the period which Islam Ahmadiyya has taken the route of decline). In the time of a Messenger of Allah, innumerable signs appear in favour of the Divine Manifestation. Even people who are not prophets might be blessed with divine revelations in favour of the truthfulness of the Messenger. The Holy Qur’an provides an instance: “And remember My favour when I inspired the disciples saying, ‘Believe in Me and My Messenger’, they said, ‘We believe and bear Thou witness that we have submitted’” (5:112). Likewise, the Promised Massih Hadhrat Ahmad (as) was vouchsafed the following revelation: “People, whom We shall direct through revelation, will assist you” (Brahin-e-Ahmadiyya). When Allah sends a Messenger, instead of recognizing him and helping him in his task, the man-elected leadership of the time vehemently opposes him. They take themselves on a lofty pedestal in defiance of the wish and Will of the Lord, only to eventually crash down and bite the dust of history, even as the Divine support of the cause of the Chosen Messenger soars in the fullness of time. 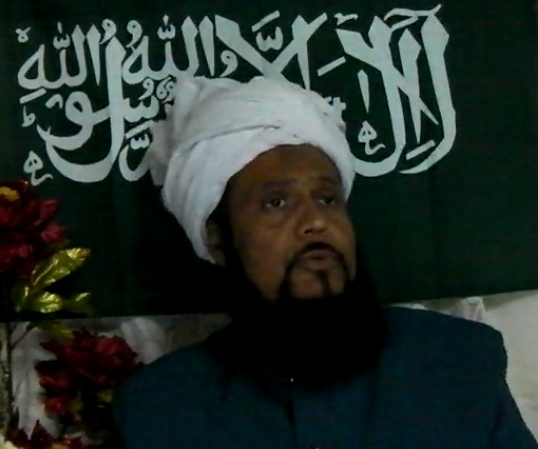 In a speech on June 22, 2011, Hadhrat Khalifatullah Munir Ahmad Azim Sahib (atba) of Mauritius drew upon this glorious tradition of the spiritual realm of the world. Moreover, many prayers that the Holy Prophet Muhammad (sa) invoked during his lifetime pertain to the spiritual renewal among his people/the whole of mankind for all times. In this speech, Hadhrat Sahib (atba) explains the wisdom behind the arrangement of Divine Reformers appearing in every age to guide the people to Allah, the Most High by referring to examples form every day lives that all can relate to and understand. Hazrat Muhammad (sa) used to make many duahs (invocations to Allah). One of these duah was that he asked Allah to put light before him, behind him, on his right, on his left, and in him. Verily, he (sa) was indeed a light himself, but yet he made this prayer. Why? So that his Ummah may come to recite this duah often, so that they also they partake of that divine light. Hazrat Muhammad (sa) is that Qamaran-Munira, that light-giving moon who has come to brighten a darkened world. Likewise all prophets come in his shadow as bearers of light from Allah to dispel darkness of ignorance, idol-worship and to re-establish the worship of one God, Allah (Glory be to Him). “By the grace of Allah, in our present times, Allah has made it that His message goes through a website which is viewed round the world. There was a divine wisdom in the past with the institution of the MTA (Muslim Television Ahmadiyya), but now Allah has wanted to make the message of His Messenger to go round the world through a website. Therefore with very limited means (and cost), the message of Allah is going round the world. And this is one of the signs of the veracity of the Messenger of Allah (his humble self) in this era. The website as a means to pass on the message of Allah is even more sophisticated than the MTA (and quicker to pass on the Divine Message), compared to the times of the Promised Messiah (as). Through this website, all sorts of Deen works are being done- all kinds of Jihad are being fought through Open Letters, Refutations, Mubahala, Speeches (Written & Audio) and Books. Since some time we are constantly witnessing the emergence of newer and so-said social networking which is to connect people all round the world with colleagues, friends, family etc. 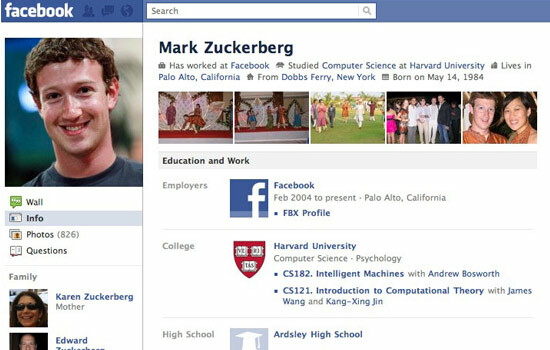 Facebook, being the major e-company to have the larger part of the social networking market has over 500 million people connected to it. Created in 2004, it has over the years become so popular that now all and sundry have access to it, and instead of doing good use of such internet and communication facilities, people are more and more sharing such vital information and personal photos, including intimate and even indecent ones which makes a fracas to morality and decency and it questions the purpose of religion and the responsibility of religious leaders to bar such en masse decadence. It is a pity that the Ahmadiyya youths have fallen prey to such attractions, and it is even more a pity that their caliph cannot make them leave these sites and concentrate on more religious matters. 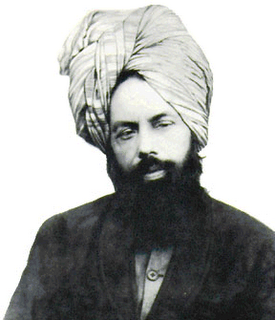 As a matter of fact, religious matters have become secondary, while mundane attractions, such as chatting, involving oneself in illicit relationships, through public chats with Non-Mahram women and men; all these are the truth which have unfortunately seized the once pure Jamaat of the Promised Messiah (on him be peace) and the Muslim Community as a whole. The decadence of the Ahmadi people is ever on the front. The news is spreading like wildfire in Kerala. That Hadhrat Munir Ahmad Azim Sahib (atba) of Mauritius is a recipient of divine revelations and that his teachings and instructions are well within the guidance of the Promised Massih Hadhrat Ahmad (as). In spite of the Jamaat establishment doing all that it could to nip this message in the bud, Allah has elevated him as a Messenger of His in this age and his mission is thriving and progressing by leaps and bounds.The institutionalization of Jamaat Ul Sahih Al Islam in Kerala has sent shockwaves down the spine of the Kerala Ahmadiyya establishment. For the Ahmadiyya establishment is wary of and worried about the powerful sway of truth and its ability to swing the general Ahmadi opinion on the matter. To tackle the new ‘threat’, the establishment is adopting a comprehensive strategy: misguide people through all methods possible! Thus, the Maulanas are continuously writing in their official magazines that Allah shall never send an Elect of His in future and that the Ahmadiyya Khilafat is the permanent divine institution for all time to come. Secondly, the Maulanas are spreading false information about the new Massih and his disciples in Kerala. In spite of claiming to belong to the Jamaat of the Promised Massih (as), they have no qualms about indulging in such cheap tactics. After the Kerala disciples of Hadhrat Sahib organized their first public meeting recently to explain their mission, and the programme became a huge success with all sorts of groups showing interest on the message, the Ahmadi Maulvis went to town telling common Ahmadis that the disciples of the new Massih were working in collaboration with the worst enemies of the Jamaat! “I have never claimed that being Massih will terminate on me and no Massih will come in the future. On the contrary I admit and say repeatedly that not only one but more than 10,000 Maseeh can come”. (Azalah Auham, RK, vol. 3, p. 251). In several other writings as well, the Promised Massih (as) clearly spelled out his understading of the continuity of Divine Revelations and the advent of noble souls with spiritually -infused messages even in future. Such persons will confirm the everacity and truthfulness of the larger message of Islam as explained by the Promised Massih (as) in our times. 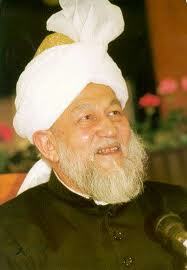 As per his prophecies, the Khilafat-e-Ahmadiyya was established to continue the good work of propagation of Islam. Yet, the theory of Khilafat as is being propagated by sincere followers of the Jamaat system has now come in conflict with a Divine prerogative. Most Ahmadis, however, today believe that only an elected Khalifa of the Jamaat has the "credentials" to such lofty Divine favour as Mujaddidiyat and because of this perception, they reject the Divine favour on offer from Allah (swa), without even extending the courtesy of spiritual humility, careful deliberation and deep contemplation that is the hall mark of true Muslims, when someone stands up, confirming the teachings they have with them. 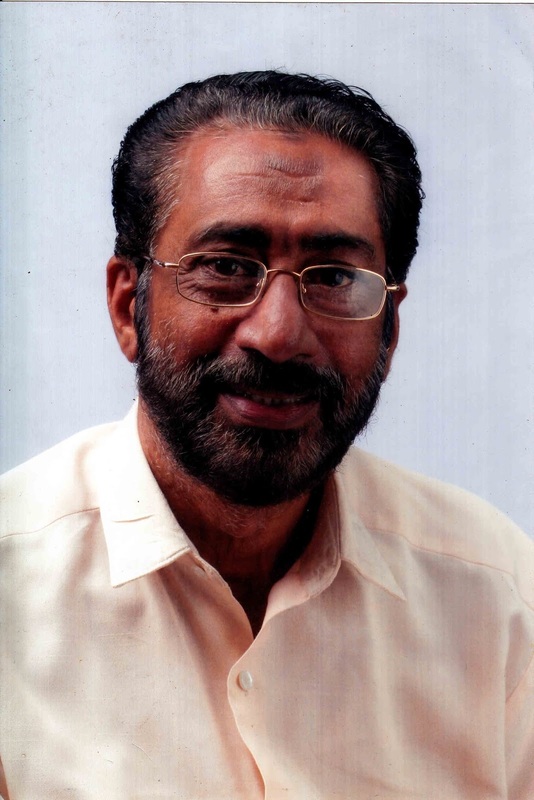 Hence, for the "grave crime" of claiming to be a recipient of revelations from Allah the Most High, Hadhrat Munir Ahmad Azim Sahib (atba) of Mauritius was expelled from the Nizam-e-Jamaat-e-Ahmadiyya on 01 January, 2001. “For now, what I can tell you and the world, is that my academic education is very limited, and that since a child I had in me a profound love to serve the religion of Allah, and that is why my time was spent mostly in the mosque (since 7 years old), and following the missionaries and Tabligh volunteers (in my early teens) to go and preach Islam in all parts of Mauritius. It is the same love to spread the message of Islam and Ahmadiyyat (the good news of the advent of the Promised Messiah (as)) which made me serve the Ahmadiyya Jamaat. Every human needs to feed himself and his family. As I needed a job, what was better for me than to work for my own Jamaat? Despite difficult times which I was bound to go through, but this experience today has proved to be fruitful for this humble self because Allah made me witnessed how the officials and other people from the Jamaat of the Promised Messiah (as) have fallen prey to the luring of Satan. My love for Allah, I keep it in my heart and soul, but that love surged forth to such an extent that Allah admitted me in His mercy and chose me as His humble Messenger. Even though I am a weak human, but Allah so desired to elevate me to my present spiritual status. What I can assure the world is that a sinner I am, but had not it been for the grace of Allah on me, I would have been ruined. I am a human, but Allah made me His Messenger”. Any one who objectively, impartially, unemotionally and dispassionately examines the mindset of the contemporary Ahmadi Muslims will be struck by the long shadow of blind faith engulfing the landscape of Jamaat-e- Ahmadiyya. Several dimensions of this are unmistakably apparent in the every day lives of the believers. First, in their quest for absolute obedience to their Khalifa, they are willing to suspend reason and rationality and stoop to the extent of committing Shirk. Secondly, they venerate their Khalifa so much that they fail to recognize the pitfalls involved. Thirdly, even as they enter into schemes brought in by their Khulafa, they do not realize what they are doing! Once the 4th Khalifa Mirza Thahir Ahmad Sahib said not to use any aluminium recipients to cook food, and therefore all Ahmadi Muslims in Mauritius threw away their own aluminium recipients so as to buy new costly “AMC” recipients so as to cook food. There were even some who contracted debts (taking credit and paying interest) so as to buy these new recipients. After some years, all of these Ahmadi Muslims reverted back to their use of aluminium recipients! This is the mentality of the Ahmadi Muslims in Mauritius whereby they take the words of their Khalifa as more important than the Qur’anic verses and the words of the Holy Prophet (sa). If this is not a Shirk, then what is this? Munir Azim in my posts I said that Mujaddid of 15th century can not come among Qadianis and especially among Qadiani Murrabis who all their lives have been bending over their backs to kiss the “blessed” hands of Qadiani Khalifa 2 and his successor Khalifas and looking for opportunities to eat and drink their leftovers; and holding beliefs that Qadiani Khalifa 2 Mirza Mahmud Ahmad was Musleh Mahud, despite when dozens of people (including his children, close relatives, staunch followers, friends and newspapers editors) accused him of acts of extreme forms of immorality; which he never dared to challenge and exonerate himself from these charges in a public inquiry by inquiry commission members appointed by himself. Munir ji, you’re NOT my particular addressee. I meant ALL Qadiani Murrabis including the current 4 claimants of Mujaddiyat (including Zafarulla, Jamba, and Nasir). By the way do you know how many dozens of Qadiani Murrabis before you have claimed their “divine” appointment to office of Mujaddid? Someone years ago someone published a list of such Qadiani claimants. It would be nice if someone can update that list and add at least the current 4 claimants to that list. Munir ji, you have already started acting like the “majestic” Qadiani Khulifa. Dude, where is the beef? Dude, if you want to convince me that you’re Mujaddid then at least produce some literature and show some service to Islam. I am not asking you to show more scholarly works and extreme service to Islam like Maulana Muhammad Ali, and Khawaja Kamal ud Din and other elders of Lahore Ahmadiyya Movement. If I ask that, then it will be too much work for you. Just show me some scholarly works more than my father in-law Professor Chaudhry Ghulam Rasool and service to Islam more than my late father Qazi Abdul Rashid Esq!